Announcement All of my items are made from ethically produced fabric in my smoke-free & pet-free home or in my free-standing studio in San Diego, Ca. Psalm Baby is a CPSC small batch registered business in the state of CA. Psalm Baby diapers are made by me in my smoke-free and pet-free home studio and free-standing studio and are CPSIA compliant. All materials are new and ethically produced both domestically and internationally. My materials are bought wholesale or from other registered American small businesses whenever possible. Please thoroughly read each listing for product information. Products vary in style and materials to fit different preferences. Shipping times are reflected in each listing. If you need something quicker, just shoot me a message and I will prioritize your order. To stay updated on the latest additions to my inventory, add my shop as a favorite and like "PsalmBabyClothDiapers" on Instagram! All of my items are made from ethically produced fabric in my smoke-free & pet-free home or in my free-standing studio in San Diego, Ca. Absolutely love these leggings !!! They were made perfectly!! Lots of room to grow. 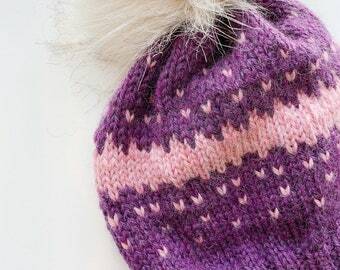 Super soft and great seam work. Will definitely purchase more wool from Psalm Baby. Working on some new hybrid fitteds! Psalm Baby: Handmade Natural Parenting Shop Est. 2008. Established in 2008, Psalm Baby was created after the birth our first child, when I saw the need for more natural parenting goods. Psalm Baby is a CPSC small batch registered business in the state of CA. Psalm Baby products are made in my smoke-free and pet-free home studio and are CPSIA compliant. All materials are new and ethically produced both domestically and internationally. Psalm 127 says that children are a blessing and a reward. Raising them naturally should be a joy. I hope to encourage natural parenting one product at a time. I am the homemaker to my husband, Peter, and our 4 children V ('08), L ('10), A ('12), & P('16). I enjoy blogging, sewing, reading, & cooking. I have been sewing since I was 5, & I have been making baby items since 2008. I also run Organic Fabric Co. I do accept custom and personalized orders! Please send me a message for custom listings. "Newborn" sized items are intended to fit most infants from approximately 4-10+ lbs. "One Size" items are intended to fit most babies from approximately 9-35+ lbs. Every baby varies in how their weight is carried, so please be aware that babies on the outskirts of these weight guidelines may not fit into certain items. Rinse cold and store in a open container until ready to wash.
Wash hot with a detergent free from chlorine bleach, color enhancers, and fabric softeners. Rinse thoroughly. Hang in half to dry in a shaded area or tumble dry warm until thoroughly dried. Wash hot with a detergent free from chlorine bleach, color enhancers, and fabric softeners. Rinse thoroughly. Hang in half to dry in a shaded area or lay PUL diaper covers flat in a shaded area to dry. 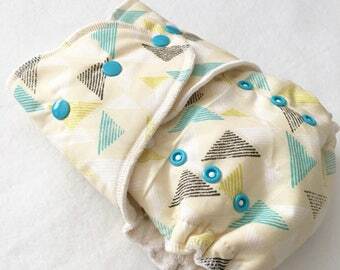 PUL Diaper Covers: Rinse cold and store in a open container until ready to wash. Wash hot with a detergent free from chlorine bleach, color enhancers, and fabric softeners. Rinse thoroughly. Hang in half to dry in a shaded area or lay PUL diaper covers flat in a shaded area to dry. Interested in wholesale diapers? I’ve got you covered! Search "wholesale" in my shop for options. Looking for even more diapers? I work with boutiques, co-ops, individuals, parties, and more! Want to shop locally? Come visit my fabric studio located in San Diego, Ca! I have ready to ship items there--ready for purchase!